Seattle is known for museums, parks, zoos & aquariums, nightlife, and shopping. Your plan includes some of its best attractions: enjoy breathtaking views from Space Needle, take a leisurely stroll along Hiram M. Chittenden Locks, take in the exciting artwork at Chihuly Garden and Glass, and examine the collection at The Museum of Flight. To find other places to visit, photos, more things to do, and tourist information, you can read our Seattle itinerary planning website . Atlanta to Seattle is an approximately 6.5-hour flight. You can also drive; or do a combination of bus and train. The time zone changes from Eastern Standard Time (EST) to Pacific Standard Time (PST), which is usually a -3 hour difference. Traveling from Atlanta in May, things will get little chillier in Seattle: highs are around 68°F and lows about 52°F. On the 17th (Fri), you'll travel to Leavenworth. Leavenworth is a city in Chelan County, Washington, United States. 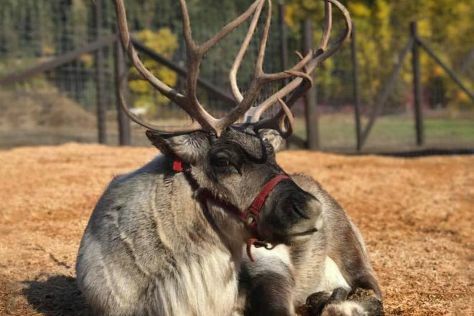 Start off your visit on the 17th (Fri): tour the pleasant surroundings at Leavenworth Reindeer Farm. To find more things to do, traveler tips, other places to visit, and other tourist information, read Leavenworth trip app . Traveling by car from Seattle to Leavenworth takes 2.5 hours. Alternatively, you can take a bus; or take a train. Traveling from Seattle in May, Leavenworth is slightly colder at night with lows of 44°F. Wrap up your sightseeing on the 17th (Fri) to allow time to drive to Wenatchee. Wenatchee is a city located in north-central Washington and is the largest city and county seat of Chelan County, Washington, United States. On the 18th (Sat), admire the natural beauty at Ohme Gardens, steep yourself in history at Chelan County Museum and Pioneer Village, then stroll through Apple Capital Loop Trail, and finally look for gifts at D-Olivo. Get ready for a full day of sightseeing on the 19th (Sun): tour the pleasant surroundings at Riverfront Park, then pick up some local products at Pybus Public Market, and then explore the wealth of natural beauty at Wenatchee National Forest. To see ratings, where to stay, more things to do, and tourist information, you can read our Wenatchee driving holiday planning website . Getting from Leavenworth to Wenatchee by car takes about an hour. In May in Wenatchee, expect temperatures between 70°F during the day and 44°F at night. Cap off your sightseeing on the 20th (Mon) early enough to travel to Portland. 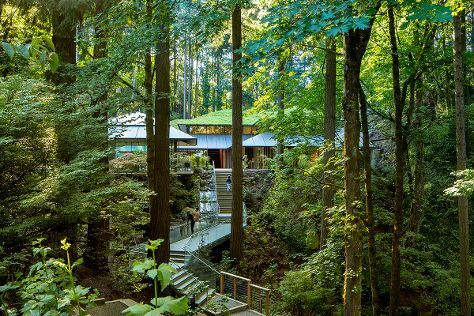 Start off your visit on the 20th (Mon): take in nature's colorful creations at Lan Su Chinese Garden, take in the views from Hawthorne Bridge, then steep yourself in history at Pittock Mansion, then admire the natural beauty at International Rose Test Garden, and finally admire the natural beauty at Portland Japanese Garden. To find photos, reviews, maps, and more tourist information, read Portland vacation builder website . Traveling by car from Wenatchee to Portland takes 5.5 hours. Expect somewhat warmer evenings in Portland when traveling from Wenatchee in May, with lows around 51°F. You will have some time to spend on the 21st (Tue) before leaving for Seaside. Seaside is a city in Clatsop County, Oregon, United States. On the 21st (Tue), pause for some photo ops at Astoria Column and then admire the majestic nature at Ecola State Park. To see traveler tips, more things to do, maps, and tourist information, read Seaside itinerary planning website . Traveling by car from Portland to Seaside takes 2 hours. Alternatively, you can take a bus. Traveling from Portland in May, you will find days in Seaside are little chillier (62°F), and nights are about the same (48°F). Finish your sightseeing early on the 22nd (Wed) so you can drive to Newport. Kick off your visit on the 22nd (Wed): take a leisurely stroll along Newport's Historic Bayfront, stop by Made in Oregon, and then look for all kinds of wild species at Yaquina Head Outstanding Natural Area. To find reviews, photos, and more tourist information, read our Newport trip itinerary maker app . You can drive from Seaside to Newport in 3 hours. Another option is to take a bus. In May in Newport, expect temperatures between 58°F during the day and 46°F at night. On the 23rd (Thu), you'll have the morning to explore before heading off to Florence. Florence is a coastal city in Lane County, in the U.S. On the 23rd (Thu), take a memorable drive along Cape Perpetua Visitor Center - Siuslaw National Forest and then take some stellar pictures from Strawberry Hill Wayside. To find ratings, photos, and other tourist information, go to the Florence trip itinerary maker website . Getting from Newport to Florence by car takes about 1.5 hours. Other options: take a bus. In May, plan for daily highs up to 62°F, and evening lows to 49°F. You will have some time to spend on the 24th (Fri) before leaving for home.